Aviation Updates Philippines - The Philippines' leading airline, Cebu Pacific (PSE: CEB) strengthens its domestic route network and air connections to and from Mindanao with the designation of the Laguindingan Airport as its seventh hub in the country. CEB also launched two new routes that link Northern Mindanao to Caticlan (Boracay) and Dumaguete City. LAUNCH OF CGY HUB. 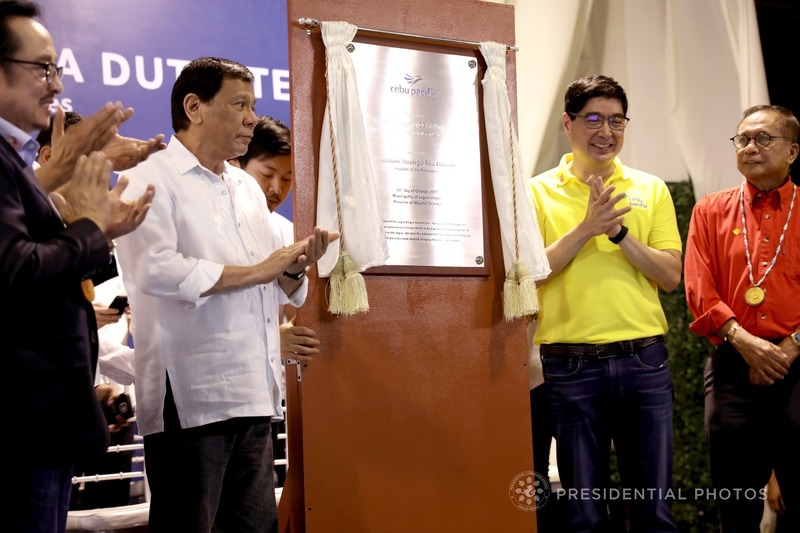 President Rodrigo Roa Duterte graces the launch of Cebu Pacific's Laguindingan Airport hub on Friday, October 20, 2017 in Misamis Oriental. Photo by PCOO. "What was originally the 4th destination launched back in 1996, is now a hub. It follows the path of Manila, Cebu and Iloilo, also hubs. Today is a testament to our long-standing commitment to contribute to nation-building, and make air travel more accessible to Filipinos. We look forward to the effect our low fares and direct flights will have on Northern Mindanao," said Lance Gokongwei, President and CEO of Cebu Pacific.